This interesting box of buttons is a talking poker tournament timer. Full of useful tools like a binary time display, words of wisdom, countdowns to the end of the game, and even good old “bicycle built for two” mode (around 1:20). While we find it fairly difficult to understand, we applaud the feature list, especially the song. 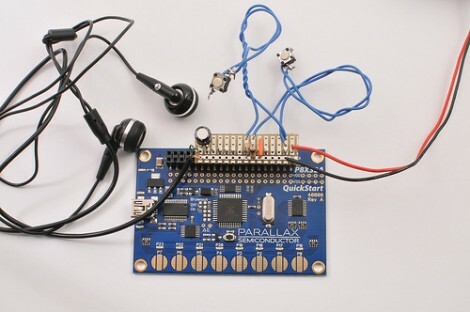 He used an Arduino with a voice shield, so there’s not much to the electronics side, but you can download his source code from his site.